PLEASE BE GENEROUS: YOGA CLASSES ARE SUPPORTED EXCLUSIVELY BY YOUR KIND DONATIONS. I very much thank you for your generosity and kindness in donating, I pay my monthly permit fees to the county and I need the financial support your donations provide. Please Bring A Towel Or A Mat, Drinking Water, and your cash donation. 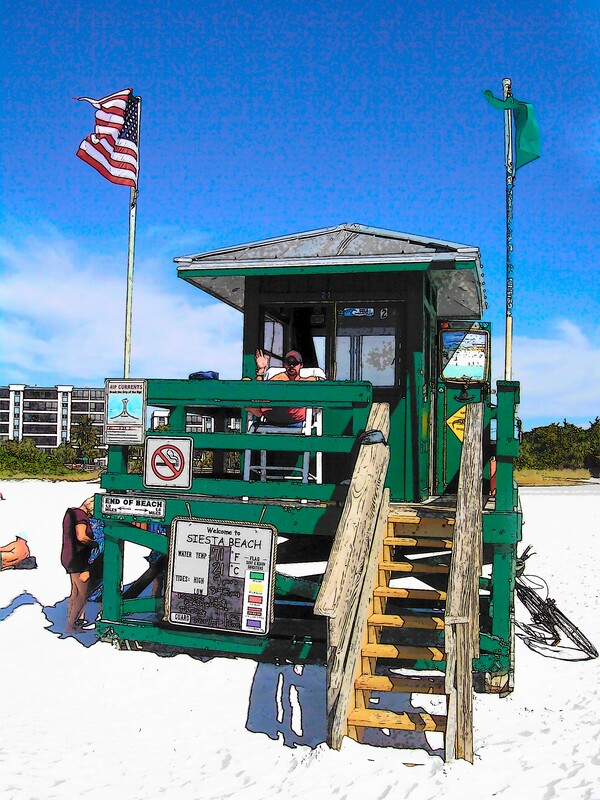 Classes held on the pure crystal sands of Siesta Key Public Beach between the Green and Blue Lifeguard Stand. And now the classes are held mid beach between the parking lot and the shore. Please come a little early to sign in and to find a good spot on the sand from where you can see and hear Ava Instruct. I attended my first ever yoga class Monday and thoroughly enjoyed it. Even though I did not known the moves I found it east to follow and was not embarrassed by my lack of ability. I plan on attending as often as I can while here on vacation this month. Thank you for attending and I do hope you keep coming. Visit my site in the future I have great plans for it including Yoga TV where I will begin posting the video pose of the day and more. I am so sorry but no dogs on the beach. I attend your yoga classes on the beach and I am planning to attend the ones at Turtle Beach. I will pay you cash before the 14th of Nov. for those sessions, if that’s okay. I enjoy your classes very much and will be writing a testimonial for you to use in whatever way would help you continue the important work you do. Hello i was wondering if you do yoga on turtle beach as well as siesta key beach if so i was wondering the days,times etc. I be starting very,very soon to go to your yoga classes everyday you you teach yoga on siesta key beach! i am extremely excited i absolutely love yoga and i will donate as much $ as i can as well!!! Thanks! No I do not teach on Turtle beach. My times for teaching on Siesta Key beach are in the schedule pageof this website. Hope to see you soon. any visit to chennai pls inform me. I’m visiting a friend in Siesta Key this coming weekend but won’t arrive in time for Saturday’s session … are there any classes available on Sunday January 29th? Nice post. I was checking continuously this blog and I’m inspired! Very useful information particularly the closing part 🙂 I care for such info a lot. I used to be looking for this particular information for a long time. Thank you and good luck. I attended Ava’s yoga class for the first time yesterday. It was wonderful! I’m a newbie to yoga. I’ve only been at it for 6 months. I know the moves and Ava is a pro. She’s very kind, sincere and enthusiastic. I will be there at least 3X every week. Thank you Ava for giving us the opportunity to do yoga in such a beautiful environment–Siesta Key Beach! I’m heading to siesta key 3-16-12. Are you still having classes? Yes I teach all year round. I am an extreme beginner with the exception of some dvds awhile back – Can I just jump in? I am a beginner with the exception of a few dvd’s awhile back – Can I just jump in? Yes, I teach Hatha yoga a more gentle slow style of yoga. As long as you modify those poses that are hard for you then you will be fine. Is it by publix parkinglot and if so to the left or right? I really do not understand what you mean. Is what by Publix parking lot? Yes Parks & Rec says that we can coincide with the sulpture event this year. So I hope to see you tomorrow. Can you confirm the schedule for tomorrow morning as 8 am or 9 am? 8:00 am is correct. Please refer the the Schedule page on the top of front page of this blog. See you soon. I’m heading to Siesta tomorrow. Are the classes on for next week? Yes they are on every week all year. See you soon. hi been going to your classes for yEARS OF AND ON. mY friend wants a taro? reading can you help! Send your friend my phone number 941 320 6693 and I can arange to read her cards. Heading to SRQ for the month of June and intend to do the yoga. Have been doing yoga for over 10 years!! Maybe even get my grandchildren who live inSRQ to come too!! Is your class at 8 or 9? I think on FB it says 9, just want to clarify. Thank you. Nn this site, I always post the correct start time on the schedule page. It is at 8:00 am Hopw ro see you soon. Hello! My family and I are renting a condo in Siesta Key for a week at the beginning of August and I just can’t wait to attend your classes. I live in Quebec so yoga on the beach will definitely be my most pleasant yoga experience ever! I’m thrilled! See you on August 6, 8 and 10! And thanks for giving us this wonderful opportunity! I am so looking forward to your yoga class on the beach when I visit in November. Is there a fee schedule or by donations? If donations, what is the suggested amount? Please take note that if you are coming in November I will not be teaching on Siesta Key beach from the 5th to the 12th due to the Sand Festival. I will be teaching the classes scheduled for that period on Turtle beach which is at the far north end of Siesta beach. And donations are of any amount peaple leave what they can. I have not been there yet but isn’t Turtle beach on the far south end or is there another one that I don’t see on the map??? I am so sorry yes it’s the south end, I wrote north, my mistake. will you be teaching over the holidays? What times/days and where? thanks and hope to see you soon. Also–do you know of any yoga classes on New Years Eve? Yes I will be taching over the holidays Hope to see you there. Are you sticking to 0900 today and Monday ? Yes I can not change the schedule arbitrarily if I change it it would be on the first of January. I am considering the chage now but I will keep you posted. But it is 9:00 am until further notice. Will there be beach yoga on 12/26 @ 9 am at beach access 7? I have decided to keep the classes at the 9:00 am till 10:30 time slot for the winter. So classes will continue to be at 9:00 am until further notice. I really like reading your site. We’ve lately composed my own, private internet website you can go to this. As becoming a web site owner I think the data this can be reallyfantastic. I regards for the initiatives. You must continue eternally! Good luck. Genuinely great blog! Have you got any type of methods for ambitious freelance writers? I hope to acquire started out on my own, private site before extended however I am just comparatively misplaced on every single point. Thank you! I lately further your weblog for the blogroll. Meow! Hi, i should say wonderful net web site you have got, we found the concept in the search engines like google. Can you receive much targeted traffic? I’ll carry on with my personal study by basically dealing with your site. Just about all outstanding ideas. I’ll be social bookmarking these pages, certainly I’ll obtain writers block. Looking forward to your classes beginning March 11!!!!! Can you lead a meditation class at my place of work. And is so what would be the cost? I know yoga is a form of meditation, but if they need more information on your certification for meditation what who I tell them? Please email me at address provides below. Hi Ava coming to Siesta Key on 6th May from UK . Do we need to book your classes or do we just turn up on the day? Just show up thats all there is to it. See you soon. Do you have class during the summer? It looks rainy this morning at least from Lakewood Ranch. Is class still on for 8:00? Yes we had class this morning and I hope to have class on Friday if the coming rain is gone by then. Ava, are you still planning on setting up a webcam at you class? It has been a very arduous and long expensive ordeal to final come to the conclusion that it seems to be impossible to achieve. the conditions are too severe for any equipment and the uploading of the videos has also presented problems. I have taken the opportunity to change over my website to word press but again with some negative unexpected consequences. I am though continuing to work on my site and maybe with the help of a friend who has more knowledge about these things something good will come of it all I will keep you posted. Thank you so much for attending and I hope you come back soon. planning to attend classes week of september 9th, will you be there? Of Course I am always there. I was going to be in Siesta Key the week of October 14th. I see the schedule says summer yoga schedule. I was just wondering if the days or times change for the fall? I am looking forward to coming to some classes during my week in town! We will be in Siesta Key from dec 25th to Jan 3rd. What is your Holiday schedule? I intend to keep the regular winter schedule for the holidays. I love to teach on the holidays. I will be in Siesta Key next week and wanted to confirm the Winter schedule was accurate….mon, wed, Fri, sat from 9-10:30? Looking forward to it! Yes the you have the schedule right but remember we will be at beach access number 7 for from the 9th of Nov to the 18th of Nov. This access is just a little ways down from where we are normally hold the classes on the main beach. SEE YOU SOON. Family will be in siesta key Nov 27, 2013 through Dec 1, 2013. Are classes being taught through these dates? Where on the beach are classes held? I teach on Monday, Wednesday, Friday and Saturday at 9:00 am every week of the the year. AndI have a video tour that takes you to the spot on Siesta Key Public beach where I hold the classes. Please go to the front page sidebar on this site yogaonsiestabeach.com Thank you and see you soon. Are there any evening yoga classes on the beach??? Thank you for doing these classes! Beautiful !!! No, Im sorry there are no evening classes. And your welcome. Is the class still at 0900 in January ? Yes it is. See you soon. went looking for the class this morning around 9:15 and didn’t seem to be anything there. Was there a class this am and if so, where? Sorry I was there until about 5 after telling everyone that class was cancelled because I got food poisoning a couple of days ago and I still feel very drained of energy. I should be ok to teach tomorrow. Sorry you were ill. I hope you reported your food poisoning, My daughter had a bad case of food poisoning last week also after visiting the Key.. If you happened to eat at the same place it would be good to report it. She was VERY sick as it sounds like you were too! Thank you so much for your concern. I am much better now. Tell me please what has given you the impression that they ever stopped. I teach all year long. Classes are always at the same time and the same days. Classes are supported by your donations. I am planning on bringing my friend who will down from Maine next week on Wednesday and just wanted to make sure you were still going to be on the winter scedule. 9am still? Yes we are on the 9:00 am schedule until June. See you soon. do you have a saturday class? If so, what time? There is no suggested donation amount because those who can afford to donate, donate more. and those who can’t, donate less. Winter we start the class at 9:00 am and in the summer which begins June 1 we start at 8:00 am. When is the winter schedule in affect till. And then what is the spring schedule? Winter schedule is in place until June 1 then we change to 8:00 am start time. Wondering when spring scedule begins for yoga on the beach? There is no spring schedule. We move from 9:00 am start time which has been in place since last October to 8:00 am start time which start June 1 and lasts all summer. When does the class change to 8:00am? Hope to see you tomorrow! Where are the classes being held now? I went over to the public beach on Mon and today but did not see you. The classes are held where they always been held which is by the green life guard stand at the main public beach at Siesta Key. I and a hundred or so of my students were there at 9:00 am on Monday and today Wednesday mornings as we are every week. Strange that you could not find it. I will be visiting Siesta Key Saturday for a week and would love to do yoga on the beach. Is this class still ongoing? Yes of course this class is going on. I teach year round. I’m coming for a weekend at the end of May, will Saturday classes still be at 9am? THE SUMMER SCHEDULE BEGIN JUNE 1 AT WHICH TIME THE CLASSES WILL START AT 8:00AM INSTEAD OF 9;00 AS THEY DO IN THE WINTER AND SPRING. Will you have class on memorial day ? Hi! Do you do any Acro Yoga or know anywhere that does? I have taught yoga for over 35 years and I do not know what that is and I don’t know anyone who does. Hi!! My name is Lindsey and I recently relocated to Siesta Key from Philadelphia. I am very interested in joining this class!! I’ve been practicing bikram for awhile (not religiously and haven’t been in a couple months). Please email me with some additional information. For example: clothing recommendations, mats, and costs. I look forward to hearing from you and hope to join a class ASAP. How far from Alhoa Kai are you? 5000 miles, I am in Florida. I am still not sure because I need to go down to the beach tomorrow morning and check out the scene, Some years it is so crowded already that it is impossible. This is why I can’t say. But perhaps if you do not want to risk it being cancelled you should not come down to the beach at all. I am so sorry but its sometimes crazy on the 4 of July. Will there be a class on July 4th? I am not sure but chances are no. Its often very busy even as early as 8:00 am but I will go down and see the conditions. I want to teach but the conditions will dictate what happens sme years were not as bad as others. I love to teacch so I try to when possible. But you don’t need to gamble if you don’t want to. See you Saturday for sure. Will you be there this st. The 5th? yes I will. It was just too crowded this morning. When do you start the fall hours, at 9am? SEPT. 1 we start the winter schedule. I live in North Port, so I am double-checking….. when is yoga from now on? Starting on December 15 we change from 9:00 am start time to 10Am start time. 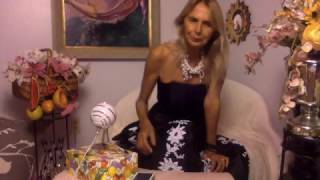 Hi Ava Trudy Today 12.29.2014 I am was with my gilfriend Su on Siesta beatch on yoga just I wanted to say thank you!! And I will be happy to go back again. Ava, thank you for your kind attentiveness. Just as we were finishing the opening meditative part today, an aircraft began to be heard in the distance, (habitually I will try to guess the plane by its sound) but I felt that what your were bringing forward in body and thought had its immediate place and just as I resolved not to be distracted and to remain with the class it seemed you rewarded me with ‘inhale, lookup!’ as the aircraft passed above me. Ava, My daughter is visiting and would love to do yoga on the beach. Are you holding classes March 2 and 4? I will be seeing you during my Spring Break with my friend. We are in highchool and plan on attending this class every morning… this is exactly what we were looking for; a free class that we can come to to make us feel refreshed after our long nights. So overly joyed to meet you Ava! What time will class begin Sat April 11? They will begin at 8:00 am from now on and until October. I attended this class about two months ago during my visit and will be planning on attending next week when we are in town! Thank you! Looking forward to it! Is there a class tomorrow at 8am? Are you having classes between today, 6/11/15 and the 4th? Are you not doing yoga anymore. It is June 15 at 8 am and I am here and don’t see anyone. I’ll be staying on a hotel on the beach from tomorrow, 7/3 through Tuesday, 7/6. I see in previous comments from previous years, 7/4 classes are often cancelled due to the beach being too crowded. Is still the case this year for this Saturday? Will you otherwise be teaching on Monday, 7/5 at 8? I’d love to join in!! Yea I am going to cancell this saturday’s class due to the mayhem going on on the beach. But I will teach this Friday and the coming Monday. Ava, can’t wait to practice with you on Wed. Coming from Des Moines for my annual trip to Siesta Keys and joining you on the beautiful beach for yoga is always one of my highlights. I am Miriam and I will introduce myself again when I am there at 8. I have some special prayers/thoughts to put in the basket so I look forward to the peace of spending time with you again. So sweet of you to write and I look forward to seeing you soon. Hi there :-). Are you having Yoga tomorrow morning (7/21) @ 9:30? Can you tell us which beach access point to use to get to your spot? I will be in for Spring break mid-March! Will classes be at 9 and 1030 on the usual days then? Thank you so much! I have it at ten now becauseof the cold weather. I hope by midmarch it will be warm enough to take back to 9:00 am start time. I always post the correct schedule, please check before you come. Is there a class tomorrow, Friday 2.26? I have taught in colder weather than is predicted for tomorrow.So if it is not very windy and we dress warm it should be ok.
Was class cancelled on Monday 3/21? Did not see anyone there. Is it cancelled when it is chillier? Thanks, Ava. Love your classes!!!! Yes when the winds are high and the temperatureis57 degrees it is not condusive to stretching the body. I believe that may have been the the last of the cold weather though and we will be able to have class every day it is scheduled now. Thank you for your patience with the outdoor problems that do arise. Are you still doing classes in 2017? Good and so I look forward to seeing you on the beach. Is there yoga class on Wednesday Feb 1 2017 ?Am from out of town and would love to join? If so whwhen and where are you located? Do I need a mat or is a towel enough? Thank you for your help. YES IT SHOULD BE A LITTLE WARMER ON WEDNESDAY TO TEACH. MY SITE GIVES YOU ALL THE DETAILS ABOUT THE CLASS, ITS LOCATION AND SO FORTH. PRAY FOR WARM WEATHER AND THEN I WILL SEE YOU ON WEDNESDAY. Would my 9 year old be able to participate with me? She has practiced yoga before, but we are both beginners. Thanks! Your daughter may of course try the class but just to let you know it is not designed for children and most children find it too long, too serious, or too boring. But its up to you and beginner are more than welcome. I read in a local paper that your classes are from 10-11:30am, but your website states 9 -10:30am. This Monday, Feb 27, does it begin at 9 or 10 am? Thanks! Hi. I tried to attend today but yoga had already started. What is your current start time? 9:00 am Monday Wednesday Friday Saturday. The schedule is on this website but you may have just overlooked it. In any event I hope to see you soon. Ava I just want to double check that there is a yoga class tomorrow am march 20. I was here around the beginning of January and there was not a class being held when I arrived! YES TOMORROW THERE WILL BE A CLASS AT 9:00 AM SEE YOU THEN. Will there be a class tomorrow at 9a? Thanks! Barring rain or snow yes there will be class. See you then. Hi! Wanted to confirm there was a class tomorrow at 9a? If so, see you then! I do not know of any prenatal classes in town. That is not to say that there may not be some but I am not aware of any. I am sorry I could not help you and congratulations on your baby. I am ready for today’s class. Any change in schedule because of rain? Well its 8:00 am and it raining with the radar showing more rain. I can only conclude that it will probably be raining at 9:00 am when class is to begin. But outdoor yoga is difficult sometimes to predicts I go down to the beach by 8:30 and check it out then I evaluate if it seems doable or not. There really is no other way. I am sorry but I can say more probably there will be no class due to rain. Thank you. Just confirming that you are having class tomorrow on the beach from 9am-10:30am. Also, where do you meet? Near one of the colored life guard stands? Please let me know where to find you. Thank you! I am in town visiting my parents and my husband And I are interested in class! Will it be held on Friday April 14th? This says “fall & winter” schedule and I do not see one for spring. Thanks! Is class today from 8-930 or 9-1030? Hello, do you hold classes now? May 2017? Yes i teach all year round. class begins at 9:00 am See you soon. Are they still going on this week? Yes every week of the year. See you soon. Are we now on the summer schedule? 8-9:30? I am vacationing there this June. Do you still the same schedule? I’m checking the yoga session is on tomorrow morning, Wednesday 31st may? will the class start times be moving to 8:00 or remain at 9:00 in June ? Can kids do your classes as well? If so what is the ages? I do not encourage kids coming to class because it is designed for adults. The class is 90 min. and demands quiet self managed participation. Children generally find the class uninteresting and too long. I hope you understand. My friends and I want to do a yoga class or 2 when we come july6-12. Will you be doing classes? Yes Emily I will. But the weather has been very wet and I have had to cancel a few classes due to rain. I hope the weather holds out for you. See you son. Yes class is happening still. See you next week. Hi Ava, looking to try your class for the first time this week. Is the beach fairly quiet and peaceful during this time? I’ve noticed some construction at Crescent beach, hoping Siesta beach is quieter. Let me know if you can! There is always the sound of the racking truck which cant be helped. On Saturdays there are events and it is much more sound usually then. But mostly its nice a quiet. See you soon. Two of us will be attending tomorrow morning! I don’t know how you could have missed the class as there were about 50 people in attendance this morning. We r here no instructor???? My husband and I attended for the first time Monday. We both felt this is exactly what we’ve been looking for. A knowledgeable teacher, excellent instruction, great connection with new students to yoga, and a pleasure to participate with. We look forward to many more yoga experiences on Siesta Key. Ava, will class be held this morning? Will class be cancelled today? It looks like we might get rain. Yes I posted the cancellation on this same website. Hopefully Monday will be dry. Hi – My group and I are extremely excited for this! I just want to clarify do the classes continue on the beach through September? We will be there september 9th. Yes Dana I teach all year round so the classes will be held as usual in September. Looking forward to meeting you all. My friends and I are coming down early september. We are so excited for the class on the beach. Will they continue on saturdays through september. We will be down on September 9th. Yes they will be held as usual at 8:00 am start time. I am looking forward to meeting you all. The coast is clear literally and so yes I will be holding class today 8/18/17. Love your class, keep up the great work Ava! Hope to attend again soon! Will the classes be cancelled in case it rain? The forecast does not call for rain tomorrow. The class should be held as scheduled. See you there. Is there a fall schedule? Or still 8:00a.m. M,W,F,S.? Yes there is a fall schedule and it begins October 1. Classes begin at 9:00 am starting this coming Monday October 2. Hi Ava. Where are yoga classes during the sand sculpting event…..TURTLE BEACH?? Hi Alynn No it is right where it always is because they let me stay on Siesta Key Beach this year.Its great we don’t have to move. by Sarasota Parks And Recreation. I am not permitted to teach any other day or time. We could do it on Beach access #7 On a Tuesday Morning or Thursday or Sunday morning. May I ask much would your group be able to afford to pay for the class? Thursday morning would be amazing. We are staying at 1034 Point of Rocks. Would $8 per person work, with a minimum of 15 people? Yes that would be fine. Please give me the date (:00 am would be fine with me. Is there grounds space to conduct the class there that is large enough for the group? Or would everyone prefer to meet at beach access # 7 where I have have conducted my classes when the Sand Festival event in previous years conflicted with my being able to teach for a week on Siesta Key beach. My students found it a good alternative beach. Let’s do the beach! How about 9:30am? Thursday, December 7th. Thanks so much. My cell is 616-485-8485. I CANT REMEMBER THE ST. cross from beach access 7 but al the beaches are numbered on Beach rd. decreasing in number as you get closer to Siesta Key Village. You should be able to see the number of each beach access as you drive down beach rd. towards the Village. On behalf of the team we would like to say thank you very much for our private session this morning on beautiful Siesta Key Beach. We all enjoyed the session. It was a pleasure meeting you and everyone thought you were wonderful. That is so nice of you to say. Thank you too for a very fun and sweet time. I enjoy young people and I thought they were very cooperative and yet funny and sweet. Have a wonderful holiday and all my love. Will the schedule stay the same the week of Christmas?? Will you be having a class tom 12/22/17? What is your schedule through the holidays? Any changes? No changes I teach Christmas day. How close is the class to public beach access#7? Just a couple of min. by car. You can walk as well. I post on my website http://www.yogaonsiestabeach.com but when temperatures are in the 40 and and low 50s, as it was this morning, be assured that the class will be cancelled. I am going to the beach soon to make that determination. Is there a lesson in Wednesday jan17? Just to clarify do classes start at 8 or 9 am? Sorry I did not see your question but it started at 9:00 am and always does. Monday Wednesday Friday and Saturday. Will there be yoga at all Easter weekend – Monday? Many thanks! Yes I am teaching tomorrow and on Monday. Is this the schedule for May 2018? It says classes held fall and winter. Will there be class today Saturday 4/14. Do you hold classes in spring and summer? My husband and I are vacationing on Siesta in June and are very excited to participate in this. Is there anything special we need to do beforehand, or just show up, and is there a suggested donation amount? Yes there is a donation of at least 5 dollars per person. And the classes start at 8:00 am in June. Hi Ava, are you having the yoga class at the siesta beach tomorrow at 9 AM? If so, where are you all meeting? No its at 8:00 am as it states on the front page of my website yogaonsitabeach.com . Let me know if you simply did not notice it as I would like some feedback please. Is also in the Schedule page. 8:00 am till 9:30 thank you. Yes of course classes start 8:00 am weather permitting. Hi! I will be in Siesta Key next week and wanted to join your class. Are classes still being held despite the red tide? Thank you so much. The red tide has been very bad lately and though I have taught through it I would not advise doing a class while it is here. Do you have classes through the fall? I do teach year round but currently we are having the worst Red Tide conditions ever so I have had to cancel classes practically all summer. I do hope thing improve by the fall but if it continues at this level I will not be able to teach. Will you be having yoga classes on the beach in December? We will be vacationing there during the last 2 weeks of the month? Looking forward to attending. Thank you! Yes I am planning to so see you then. Hi, will your classes still start on 10/1/18 orbdue to the red tide will you be posting on a day to day basis? I am thinking about it and I had hoped the red tide would clear up by the first of October but its still lingering on. The air is breathable though and so all I can do is go down each class and determine the conditions for the first week. If the conditions don’t improve after that I just may cancel for the entire month of October. Sad but true. Where are you having your Yoga class during red tide? I am not. I have not taught for nearly 2 months. I will attempt to resume normal schedule on Oct. But I am playing it by ear. This sounds fantastic! Are the classes still running? Yes they are. Hope to see you soon. Hello! I came out to join your class yesterday, October 29th, as posted and walked around, in the correct location to no avail…the beach was beautiful anyway. Wow thats so strange since I and 30 students were there between the green and blue lifeguard stands which is in the same spot I have been teaching in for 10 years. Let me know exactly where you were. Will there still be yoga? I will be there to give class but yes it might be hard to find parking. I will just teach whoever shows. Hopefully there may be more parking available at that early hour. Hope to see you. I do not teach on Turtle beach i only teach on Siesta Key Public beach as I have for the past 10 years. Will there be classes between 11-24-28? I am coming to siesta key for a few days by myself and looking for daily yoga classes. Yes I hope so. I had to cancel my last 2 classes because of the rain. So if it doesn’t rain I certainly will be teaching this coming week. Hope to see you at class. I never cancel for holidays only rain and red tide. Happy Christmas. Great class today! Merry Christmas! THANK YOU SO MUCH AND MERRY CHRISTMAS TO YOU. Hi is there a class tomorrow morning – dec 28? Thanks! YES INDEED THER IS A CLASS TOMORROW. Hi I was wondering if you will be having class tomorrow January 2. Yes I will be holding class if the weather holds up as i believe it will. Yes i plan to hoping of course that it does not rain. i will also be teaching on Monday. Hi Ava, I am coming to visit siesta key in April for 10 days and was wondering if you will be having classes on the beach during that time? I do hope so but this has been a very difficult time with red tide conditions often so bad that I have had to cancel many classes due ti it. So barring red tide and rain yes I will be teaching then. Is there yoga on the beach this Sunday January 13? NO I DO NOT TEACH ON THE BEACH ON SUNDAYS. Hello there! We will be in siesta key January 25th-30th are the yoga classes on at that time? Barring bad weather or red tide yes I will be teaching as usual. See you soon. Hello. Will classes be held today on Martin Luther King Day? I’d love to join while on vacation down here. Are your classes currently in session January 2019? I am cruising the coast and thought of hanging a big ole left and headin’ down for some yoga, some tuning forks and a meet. I’m in Myrtle Beach, as I type this..heading West in the morning. It’s all in the timing, I guess….any good places to stay in that area that are safe and won’t cost me an arm and a leg?….lol. I would love to attend a class on my “Diva Driveabout/Vixen Vacay”. 🙂😎🦄🐝🌻 thank you, Ava, for all you do. Well its darn cold out here now but I am teaching regardless of the chilly air. As far as accommodations its very expensive around here that I know so I can not recommend any place cheep the I know of. But hope to see you anyway. Pray for good weather if all goes well I always hold the classes between the green and blue lifeguard stands. To the right of the Pavilion parking. See you soon. Can you be more specific which part of the beach, we are new. I am on Siesta Key Public beach between the green and blue life guard stands. Yes well thats not easy to answer because for instance I taught today and it was cold and windy but it was also sunny and it warmed us enough to made it doable. So its often had to predict if the conditions are such as they were today then yes but if the sun had not been out it may have lowered the temperature enough to where I may have had to cancel. And so it can not be predicted I usually go to set up about 30 min before the class starts to make my judgement. There is often no way to let people know on days when the conditions are boarder line. I hope this helps. Are these dates and times still current? As of 2/13/2019? What happens tomorrow in the event of rain? Are you still holding the class on Presidents’ Day (feb 18)? Thank you! Is this your current schedule? Thank you. Yes janet Mon, wed, Fr, Sat, 9 to 10:30 am See you soon. What days is this class? I am here for the week. Mon Wed Fri Sat 9 to 10:30 am see you soon. Do we donate on line before we come? Also I am a beginner is that ok? Yes more than half the class are usually beginnings so you will be in good company. And you may pay online or cash at the beach either way. See you soon. Hi, is there a class tomorrow March 6? It’s going to be cold!? I am not really sure but it seems the wind is also going to be high and that combined with the cold its very likely that I will have to cancel. I always go to the beach though to make my final determination still it seems unlikely that we will be holding class tomorrow. The temperature is going up again and should be quite warm by Friday. So I will see you soon. Will the schedule change in April? No Ann-Marie it stays the same in April. See you soon. Yes I will be teaching until June tMonday Wednesday Friday Saturday 9 to 10:30 am Hope to see you soon. My name is Rebecca – I am getting married in Siesta Key and my partner and I love yoga! We were hoping to see if you would be willing to do a private beach yoga session with our friends and family the day before our wedding (Thursday, May 30th) on Siesta Key Beach, in front of the Sunset Beach Resort. Let me know if this is something that would be possible and what kind of cost it would be! If not, we will try to come on Wednesday to your normal class – the whole family/friends crew may not be in town just yet. Congratulations and I wish you much joy and love in your new marriage. But I do not teach private classes so you will simply have to come to the public class the next day. I teach Mon, Wed, Fri Sat 9 to 10:30 am. Will you be doing yoga tomorrow..Thursday april 20th? I am vacationing there April24-MAy 8th. Are classes still held between blue & green lifeguard chairs? Looking forward to yoga on the beach. Namaste.